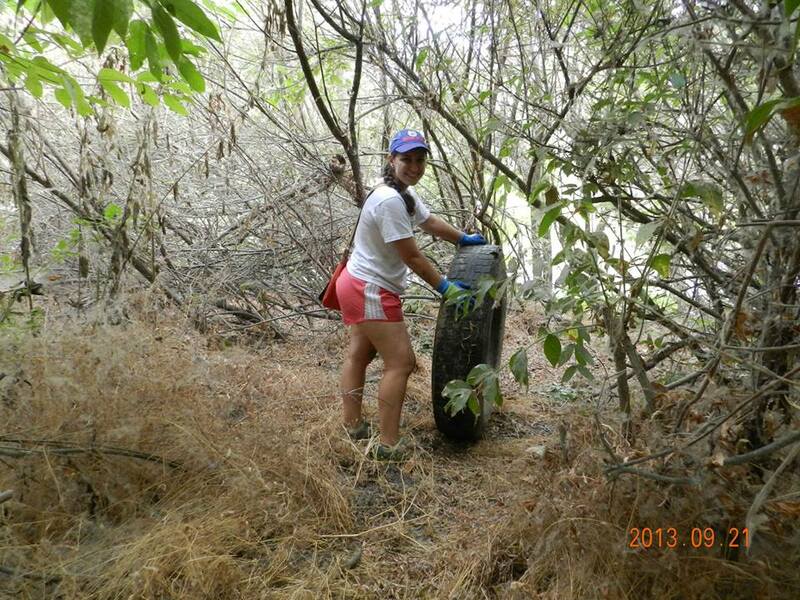 The Great Sierra River Cleanup! I love a service project that entails manual labor and contact with nature and last month’s Great Sierra River Cleanup provided just that! The Cleanup volunteers bravely fought the wild terrain of the San Joaquin River for a good cause and we climbed up steep banks and through prickly bushes to reach trash, risked contracting tetanus from rusty barrels and cans, hauled water-logged tires out of a rushing river onto tippy canoes, and performed many more daring feats, all for the sake of having a beautifully clean river. Now that’s what I call a service day! The River Tree Volunteers of Fresno organized the portion of the 5th annual Great Sierra River Cleanup for our area on September 21, 2013. A diverse group of 126 volunteers met at the San Joaquin River near Skaggs Bridge early on that cool, glorious Saturday morning. We broke into small groups: some would tackle trash and debris on the shore, while others took the canoes to search the river bottom. I was chosen for the bank excursion first, and set off immediately with my crew to begin. We gaze in awe at the untamed cottonwood forest. Along the way and throughout the day, I learned about so many of the river environment’s plants and critters. From the towering cottonwoods that blanketed the surroundings with an eerie fuzz to the sharp nettles that would nip my legs, the plant life was wild to say the least. The little clams in the river and the hordes of ants and other creepy-crawlies were amazing to behold as well. The San Joaquin River is an amazing habitat of biodiversity and we would do well to preserve its natural splendor. Here I am, ready to roll this tire across the river and into a big truck. Making our river sparkling and clean again, one tire at a time! I initially thought we were going to pick up trash alongside the river. I was correct, but what I didn’t know was that we had to wade across the river, which was about waist deep, to reach our destination. We got off to a refreshingly good start, and immediately got to work. We were keen trash detectives, and discovered an old car, half of a truck, basically an entire kitchen set (microwave, dishwasher, etc. ), hundreds of oddly-shaped bottles from decades ago, tires GALORE, and trash everywhere that careless people had dumped. Nature had begun to take its course, with trees growing out of tires and weeds covering garbage. The work was difficult but gratifying, and teams functioned together exceptionally well so that a work day turned into a day of fun! 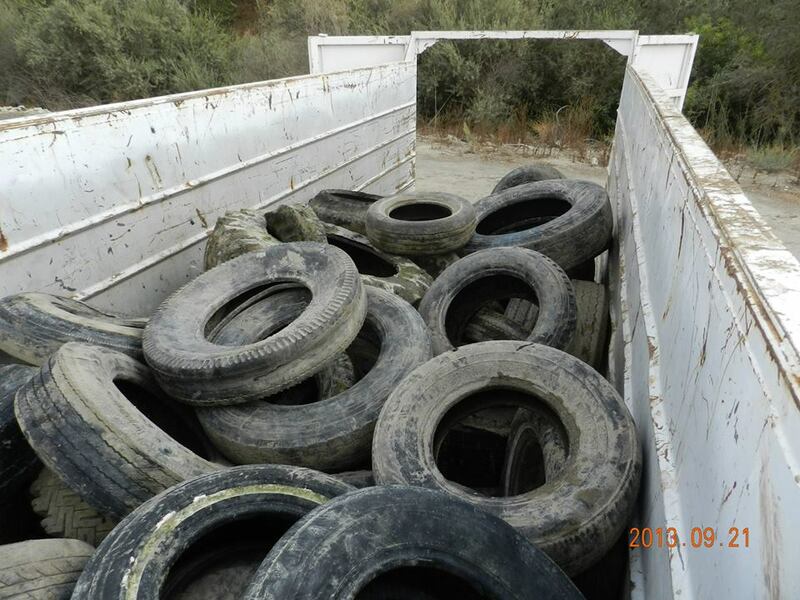 72 tires later…What a productive and rewarding day! All over the state, groups like ours were doing the same service for California’s clean and healthy water sources. 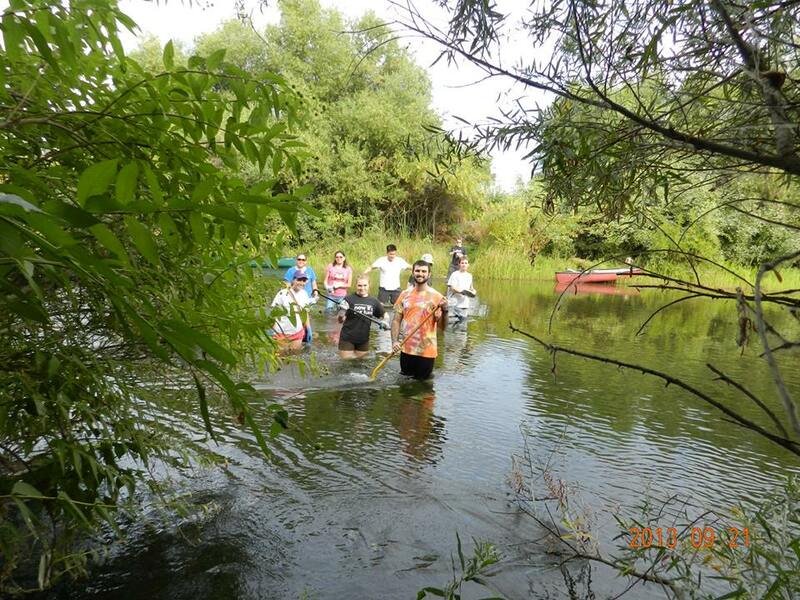 Volunteers collectively scoured 86 miles of river. 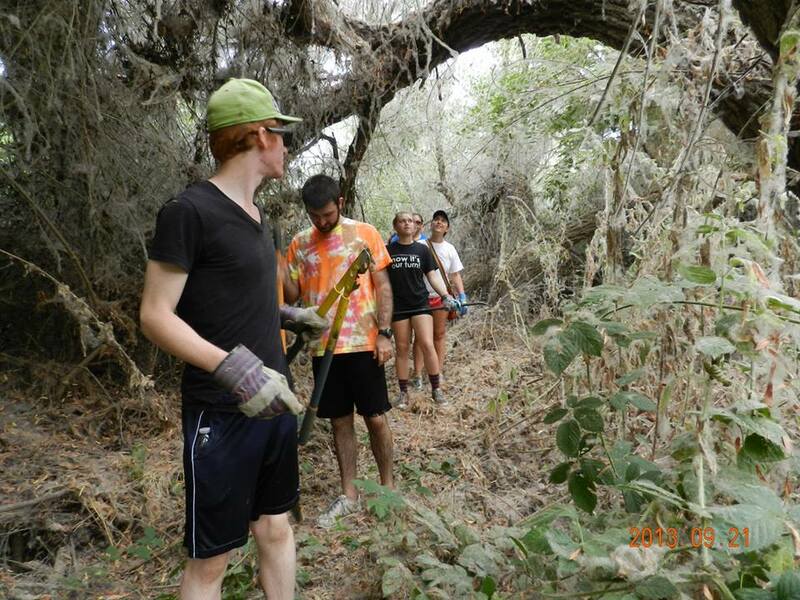 Sponsored by the Sierra Nevada Conservancy, the Great Sierra River Cleanup is the largest single day service event in California. In one morning, our Fresno group alone removed over 70 tires and 2 tons of trash and unwanted debris from the San Joaquin River and its banks. This was a rewarding community service opportunity because when we finally finished our work and wiped the sweat off our brows, we could really see the difference we had made.